Q: I’ve been a US legal permanent resident for almost ten years, and my green card is expiring soon. What is the current procedure for renewing it? A: Immigrants filing applications to renew permanent resident cards with a ten-year term of validity, commonly known as “green cards,” need to file Form I-90 (which can be downloaded at www.uscis.gov) with US Citizenship and Immigration Services (USCIS). The form can be mailed or sent by courier to the addresses shown in the instructions. The submission also can be made online; go to www.uscis.gov and follow the instructions for online filing of Form I-90. Applicants receive by mail a notice for a biometrics (fingerprint and digital photograph) processing appointment at a local USCISApplicationSupportCenter. IMPORTANT: Applicants are being instructed to take to their biometrics appointments the records of any arrests, convictions, or any other involvement in criminal matters since last being granted legal permanent resident status. Immigration and Customs Enforcement (ICE) officers have been attending these appointments and reviewing the documentation supplied by applicants. Some applicants have been detained because of the criminal records they submitted or because an ICE background investigation detected criminal convictions or outstanding arrest warrants. Accordingly, it is IMPERATIVE that you obtain legal advice before your biometrics appointment if you have ANY issues involving past or pending criminal proceedings anywhere in the world. 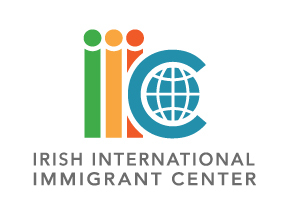 IIIC can help you with the I-90 renewal filing process, as well as the application for getting a new green card when the original has been lost or stolen, or when the card contains incorrect information. Note: Holders of two-year conditional permanent resident cards based on marriage to a US citizen don’t file Form I-90 to remove the condition; they use Form I-751 instead. By the way, anyone who has been a legal permanent resident long enough to be eligible for US citizenship really ought to consider applying for naturalization as soon as possible. IIIC can help you with the all aspects of the naturalization application process. For a free, confidential consultation on this or any other aspect of immigration law, visit one of our legal clinics advertised in The Emigrant. Disclaimer: These articles are published to inform generally, not to advise in individual cases. Immigration law is always subject to change. The US Citizenship and Immigration Services and US Department of State frequently amend regulations and alter processing and filing procedures. For legal advice seek the assistance of an IIIC immigration specialist or an immigration lawyer.